In Depth Sport Psychology: Reclaiming the Lost Soul of the Athlete is a unique exploration of the vital archetypal elements and themes that emerge when considering elite sportssport psychology through a depth psychological lens. It provides athletes, young people, coaches and clinicians with ways to harness the self, placing athletes on a path towards personal growth and sporting excellence by reconnecting their spirit to their sport. 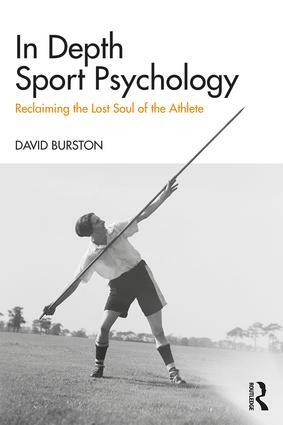 Burston’s multidisciplinary and inclusive approach details the importance of spirituality and other unmeasurable factors, such as emotional recovery, when investigating sporting potential. Incorporating research from classic mythology and the Greek sports academies, he traces sport back to humanity’s animalistic and traumatic origins, explores the rise of the Olympic movement, and compares archetypal identities that are shared with athletes today. Relating this to today’s financially driven and technological sporting climate, he considers the roots of play, examines the difference in the psyche of team sports and individual players, discusses the crucial, clinical welfare of young people, and dedicates a section to sportswomen. In Depth Sport Psychology emphasises how awakening an athlete’s unconscious spirit can positively improve their performance, and offers an applicable methodology for athletes and teachers to use to better understand themselves and achieve brilliance. Uniquely exploring the connection between Jungian depth psychology and sports, the accessible tone of In Depth Sport Psychology will be key reading for analytical and depth psychologists in practice and in training, sports psychologists and other professionals working with athletes. It will also appeal to athletes and sportspeople interested in exploring a new perspective on sporting excellence.